Chiropractic is based on the scientific fact that your body is a self-regulating, self-healing organism controlled by the brain, spinal cord and nerves of the body. The nervous system is protected by the spinal vertebrae. When these vertebrae become misaligned or lose normal motion, malfunction of the tissues and organs throughout the body result. Chiropractic is a form of natural health care that focuses on treating a patient without the use of drugs or medicines. 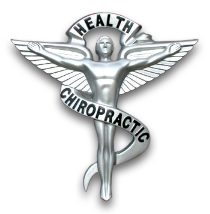 Doctors of Chiropractic are primary health care providers and are recognized by governmental health care programs such as Medicare, Medicaid, Workers’ Compensation programs and more. Every year, more than 30 million Americans see chiropractors as part of the regular health care programs. With over 84,000 licensed chiropractors nationwide and more than 10,000 students currently enrolled in chiropractic school, it is the fastest growing health care profession. Chiropractors frequently treat individuals with problems, such as headaches, joint pain, neck pain, low back pain and sciatica. Chiropractors also treat patients with osteoarthritis, spinal disk conditions, carpal tunnel syndrome, tendonitis, sprains, and strains. However, the scope of conditions that chiropractors manage or provide care for is not limited to the common pains and problems listed above. Chiropractors also have the training to treat a variety of conditions such as allergies, asthma, digestive disorders, and other disorders as new research is developed.